The LPC845-BRK board features the JP1 cut-trace jumper. The intend of that jumper is to measure the current of the target CPU. But actually this jumper can be used to turn the board into a (undocumented?) general purpose CMSIS-DAP debug probe. I have tested it with the MCUXpresso IDE and have been able to debug Kinetis, LPC and i.MX RT boards that way. So with $6 I have not only a cool and tiny development board, with the addition of a SWD header, a SWD cable and a jumper I have cool and tiny debug probe :-). Locate the JP1 on the board. 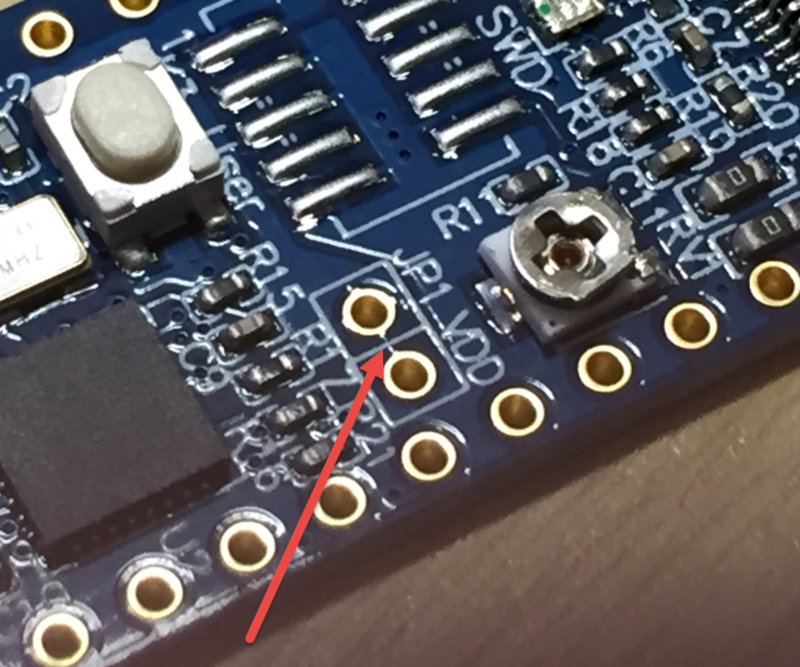 There is a tiny PCB trace between the pads. Use a knife to cut that trace. 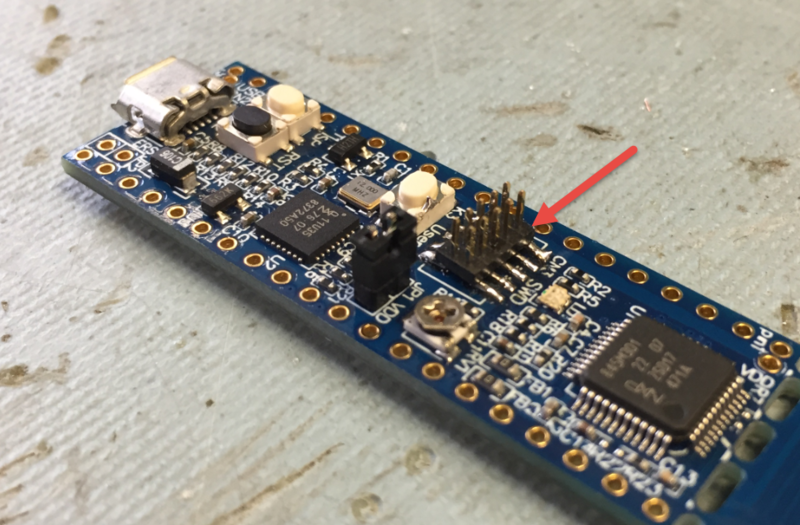 With very small changes I can turn a normal $6 NXP LPC845-BRK board into a CMSIS-DAP debug probe to debug external Kinetis, LPC or i.MX boards. 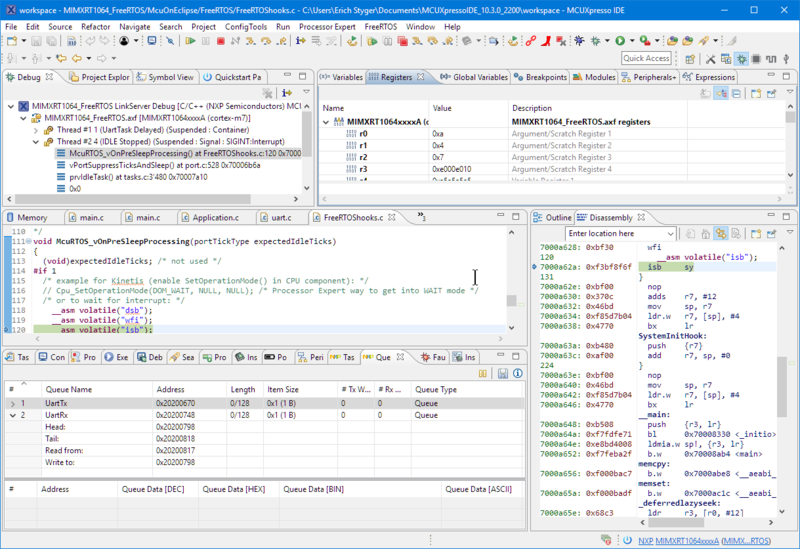 I’m able to do this with the NXP MCUXpresso IDE, but that should work with other IDE’s too. All what I need is a knife, a jumper and 2pin header with a SWD cable and connector. 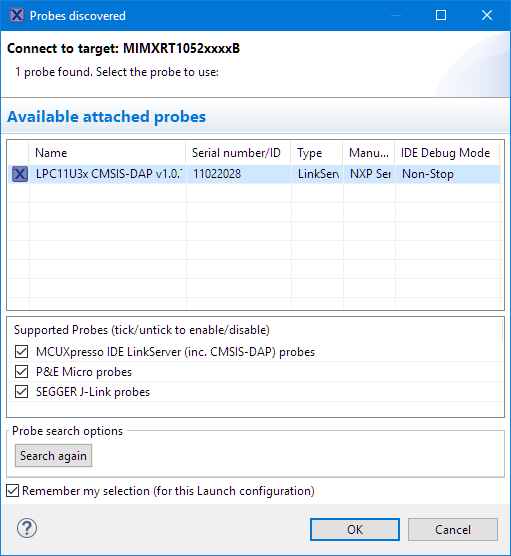 Does this make my P&E, Segger or LPC-Link2 debug probes obsolete? Definitely not, because other probes offer different features or are faster. For example I measured a 3-5x faster Flash programming with the LPC-Link2 ($20) compared to the LPC11U35 ($6) based debug probe. Still, for that $6 it is a very decent debugging experience. For me every $ spent on debug probes is always a good investment, and having more probes at hand is definitely a plus, especially if they are inexpensive like this one :-). 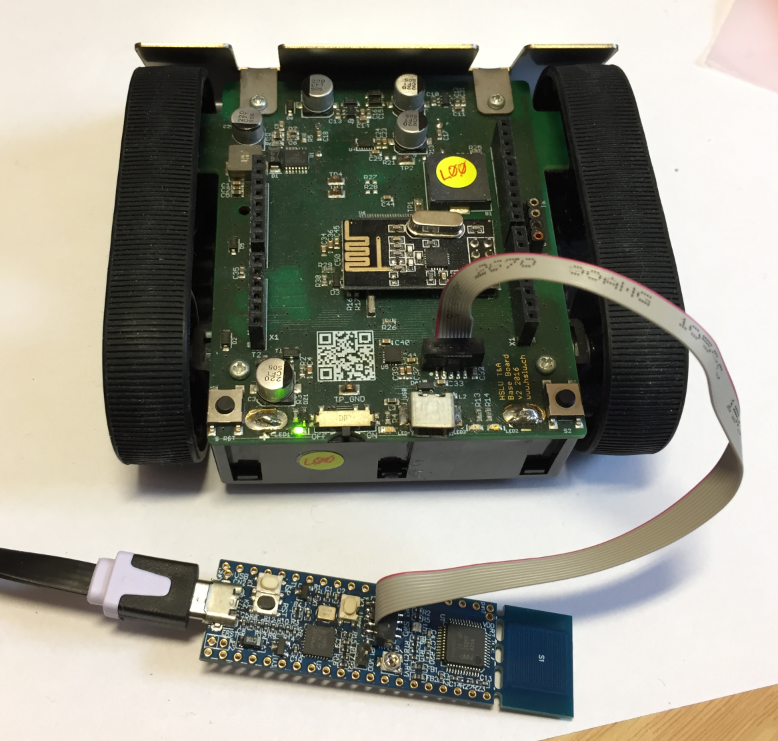 This entry was posted in Boards, CMSIS, Cortex, CPU's, Debugging, Eclipse, Embedded, i.Mx, Kinetis, LPC, LPC, LPC845-BRK, MCUXpresso, MCUXpresso IDE, MIMRT1064-EVK, NXP, Tips & Tricks and tagged ARM, Debugging, Eclipse, Flashing, i.Mx, i.MX RT, i.MX RT1064, Kinetis, LPC, MCUXpresso, MCUXpresso IDE, NXP, P&E, Segger, technology, Tips&Tricks by Erich Styger. Bookmark the permalink. Wow, this makes it even more appealing, for students especially. I wanted to start working with LPC controllers because they have 9-bit SPI, I will get one soon. Yep, this is what I thought too! 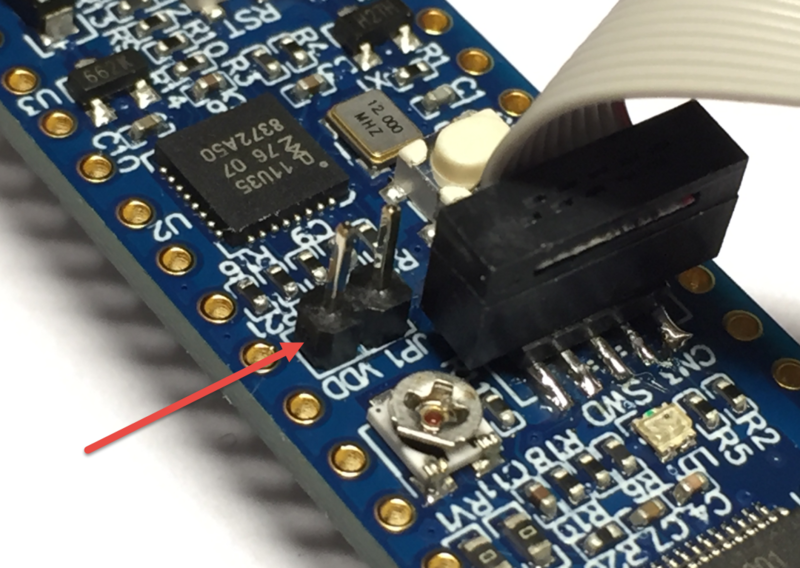 The board manual did not mention the possibility to use the board as a debug probe. Usually it is required to disconnect the SWD clock or data line, but in this case it was enough not to power the LPC845 :-). 9-bit SPI is interesting, I never needed it. For what do you need it? I use some cheap Nokia color LCD displays for embedded projects, they are 9-bit SPI. With Kinetis MCUs you are stuck with 8-bit SPI so always bit-banging and its much slower I hear. would love to see improved speeds. Although I have never actually tried doing DMA for the data transfer like you did with the WS2812B. Hardware SPI sounds easier. DMA is a very complicated beast. It took me about a week to get it running for the WS2812B. The issue is that it is nearly impossible to debug it, all what you can do is maybe to toggle some pins. Documentation is lacking information, or the provided examples are not well documented. It is not impossible, but I have to say compared to any other MCU peripherals the DMA one was the hardest for me. And it is different from one MCU to another too. 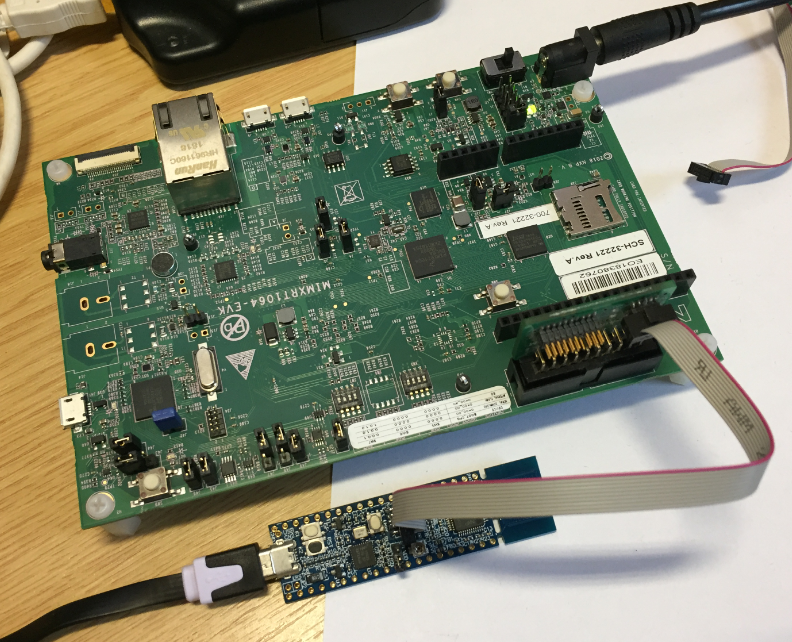 do you have any idea to put a j-link firmware into CMSIS-DAP of LPC845-BRK. In my understanding this is not possible. 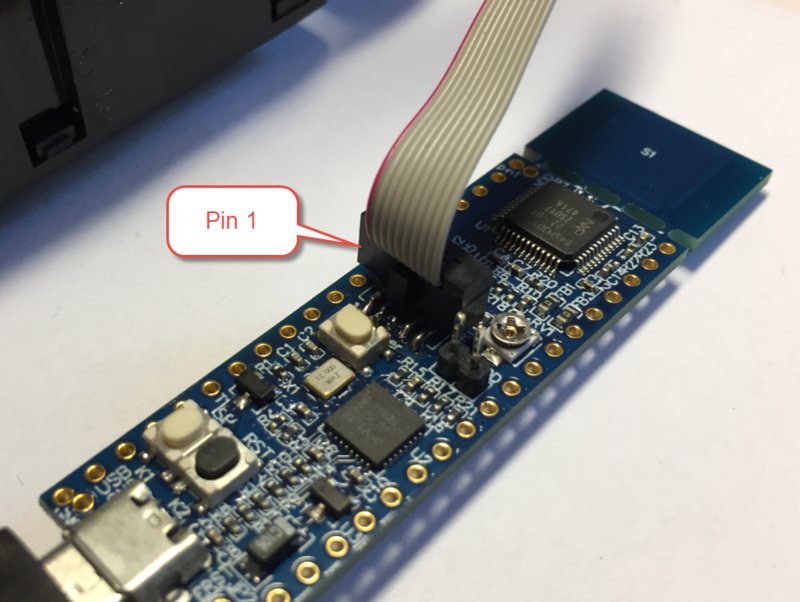 It is only possible to do this with a LPC-Link2 (see https://www.segger.com/products/debug-probes/j-link/models/other-j-links/lpcxpresso-on-board/) but not with a LPC11U35 based circuit.